WELCOME TO MY garden home on the East Coast of Canada! 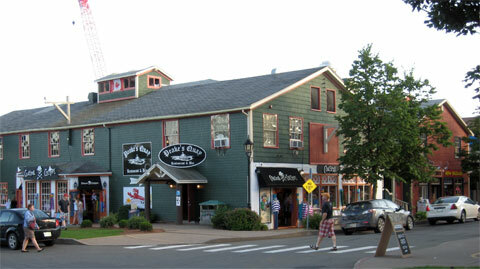 Charlottetown is the capital of the smallest province, Prince Edward Island, cradled between the Northumberland Strait and the Atlantic Ocean, just north of Maine. While Charlottetown is known for its thriving arts community and IT business opportunities, there is an historic feel to the city that draws you in to the call of another era. Known as the Birthplace of Confederation, Charlottetown was host to the 1864 Conference, the very meeting in which Canada was created. Because of this distinction, we Islanders are proud of our culture and maintain the beautiful architecture of our largest city, with restrictions on new structures to blend in with the old. I love it here and have lived in and around Charlottetown my entire life. One of my favorite parts of the city is the small, easily walkable historic district. There are so many details to see it would be impossible to cover them all! Instead, I’m sharing the ones I treasure the most. 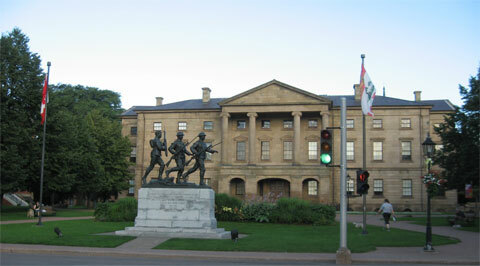 Our stately Province House sits at the top of University Avenue, one of the main streets in Charlottetown, where the monument to our war veterans stands guard and our legislative assembly governs. 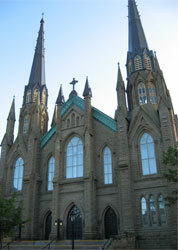 St. Dunstan’s Basilica is the only Roman Catholic basilica on the Island and one of the tallest structures downtown. The gorgeous spires dominate the skyline while the interior will take your breath away, no matter your religious beliefs. It stands on Great George Street, the exact path the Fathers of Confederation walked from the harbor to Province House. This street is considered the most historic in the entire city and is often host to reenactments in full costume as well as horse-drawn carriages, ready to take you on a personal guided tour of our past. Victoria Row is another popular location and one of my frequent stops. 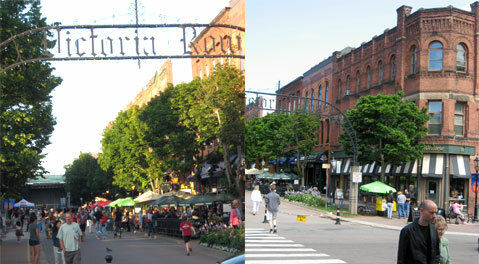 The street is converted to a pedestrian walkway in the summer months, filled with outdoor patios from small bistros as well as a perfect place to find local art and jewelry. If you stay for dinner on the Row, you’ll most likely be serenaded by one of the local jazz or blues bands who entertain there nightly. There’s nothing like enjoying a fantastic meal of fresh-from-the-ocean seafood and bottle of Island-made wine to the sultry sound of brass. If you follow the gorgeous harbor front walk, it leads you to Peake’s Wharf, an energetic and shop-filled tourist destination. Don’t be surprised if all the boats at dock are overshadowed by a giant cruise ship or two. 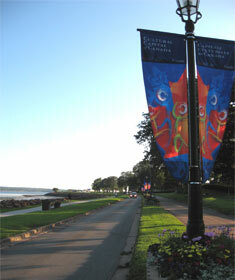 Charlottetown is a favorite destination of a number of cruise lines. The scenic pedway will then lead you all the way around the water front, for a fantastic view of stunning century homes, many converted to inns and bed and breakfasts, all the way to Victoria Park, a peaceful green space overlooking the Charlottetown Harbor. Queen Street is one of the main thoroughfares, boasting cobblestone walkways and a multitude of shops and restaurants. 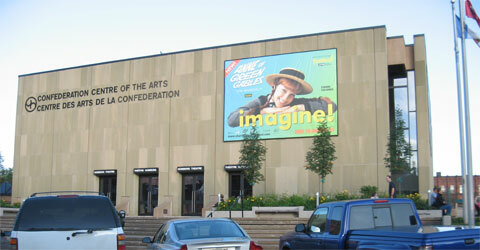 It is also home to the Confederation Centre of the Arts, where Anne of Green Gables: The Musical is held every summer. This is one of the most popular destinations in the city and is on my must-visit list. Can you tell I love my city? But the most amazing part of Charlottetown is the people. Islanders in general are so kind, so welcoming, that meeting the residents becomes part of the experience. We’ve snared many people over the years, visitors who had a taste of our beautiful home and then couldn’t get enough. Come visit us once, that’s all it takes. You’ll never want to leave. PATTI LARSEN is a middle grade, young adult and adult author with a passion for the paranormal. She loves to travel, drawing inspiration from the places she visits, as well as from her own back yard. 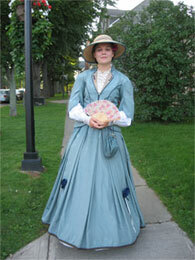 She lives on Prince Edward Island, Canada, with her very patient husband Scott and four massive cats. Visit Patti’s main site, Pattilarsen.com, where she shares her passions and Patti Larsen Books for updates on her work, or follow her on Twitter: @PattiLarsen. Thanks for hosting me, Milli! It was great fun writing about my home. My pleasure, Patti, your story is a joy to behold. 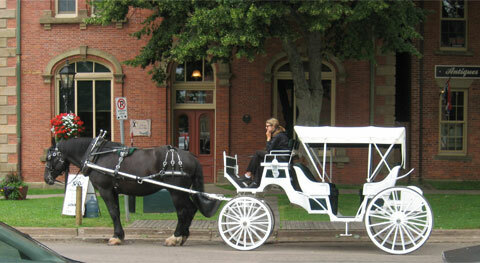 And did I mention how much you’ve made me want to visit Charlottetown? Brian and I *love* visiting Canada and he was excited to hear I had a story coming in about PEI. This is now on our must-go list! My partner, Jon, and I have long wanted to drive from our home in Ottawa out to the East Coast, and spend time in PEI above all. Your descriptions and photos have now bumped this an item further up on the to-do list. 🙂 It sounds perfectly idyllic. There’s nothing better than loving where you live… Glad that’s the case for you! There was an event, J… but most of the time it looks like that anyway–there are six or seven bistros along that street, all with outdoor seating. It’s fantastic! What a stunning city! I’ve never been to Prince Edward Island, but I see why you love it so much….